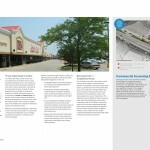 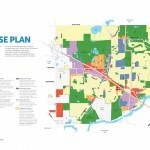 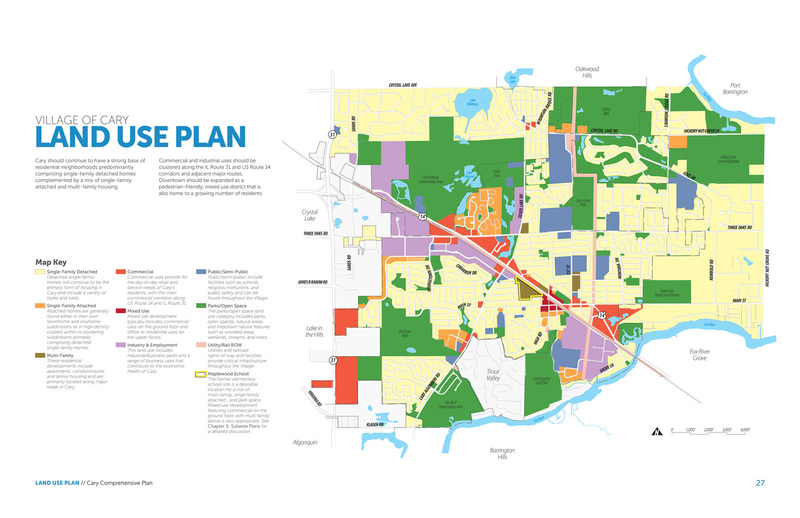 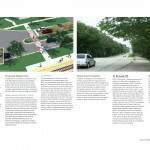 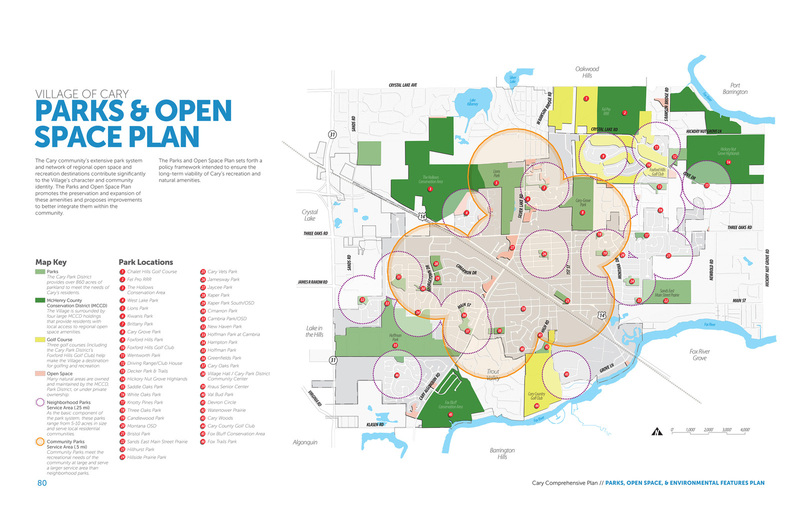 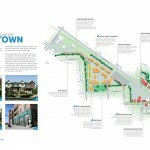 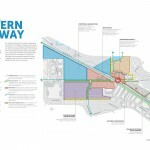 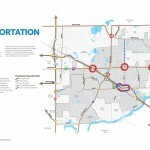 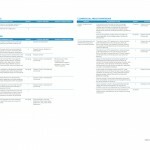 With the closing of a large school site in the heart of the community’s downtown, the Village contracted with Houseal Lavigne Associates to create a Comprehensive Plan that would capitalize on this once-in-a-generation opportunity, as well as provide a new vision and direction for the entire community. 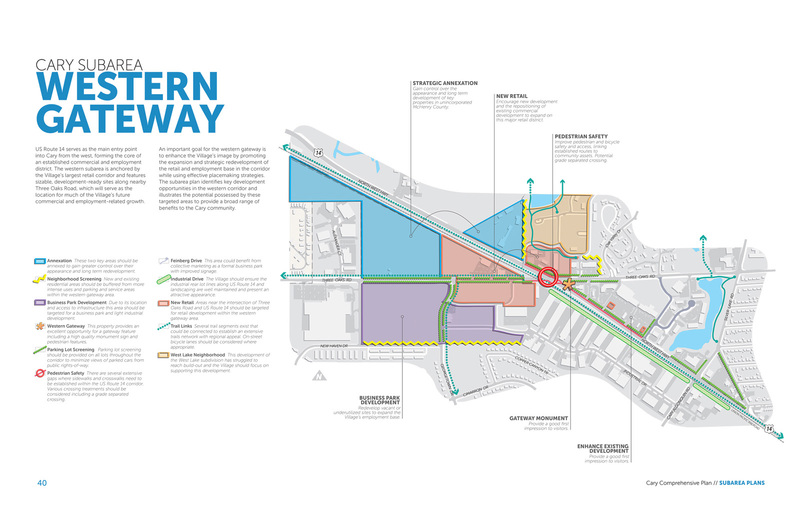 The new Plan focuses on community-wide growth and reinvestment that will better position Cary to compete with neighboring communities for jobs and tax dollars. 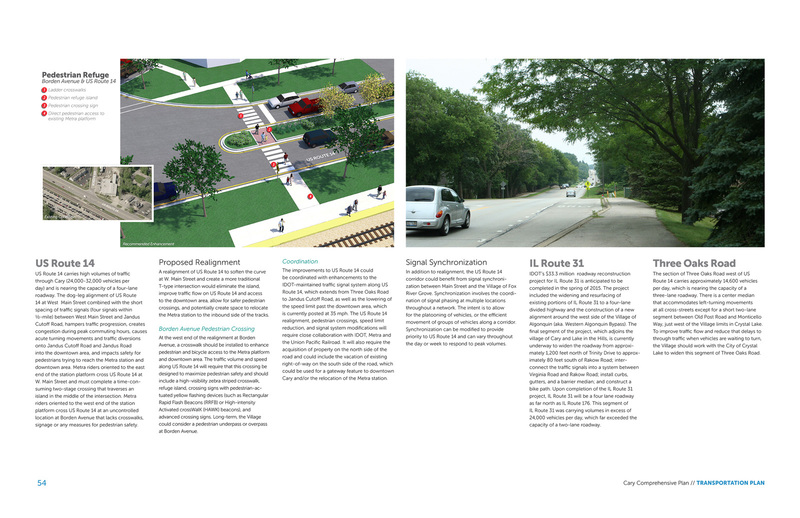 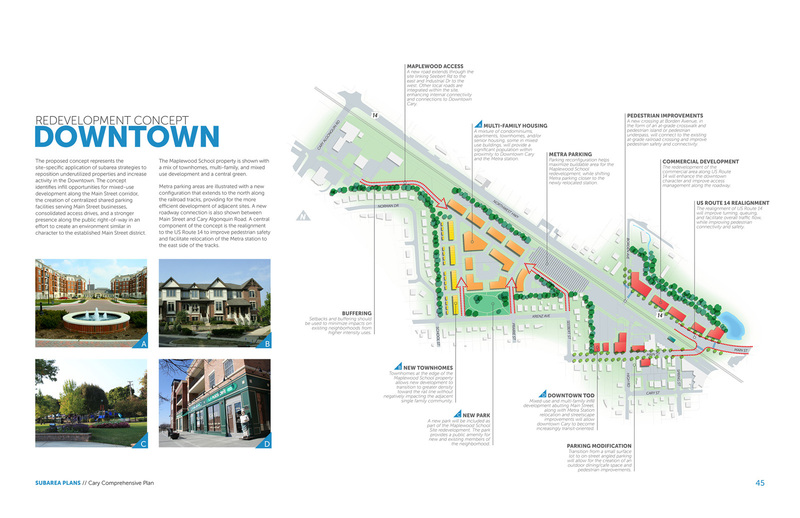 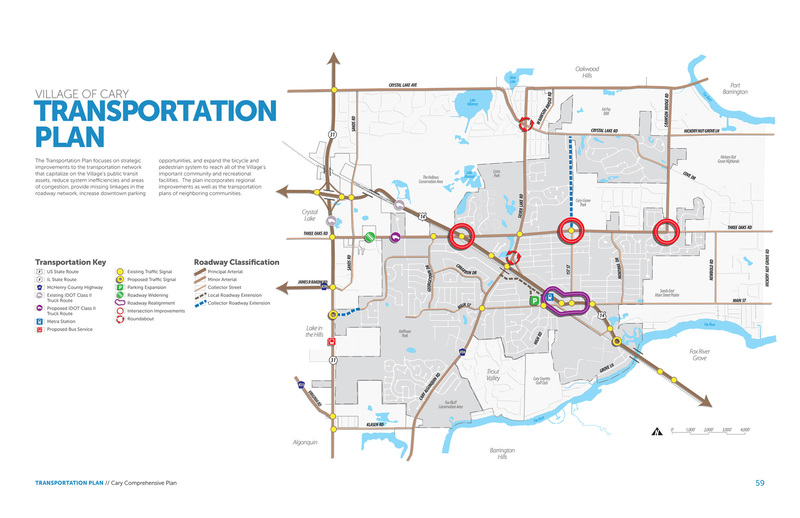 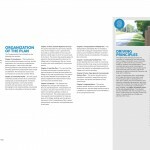 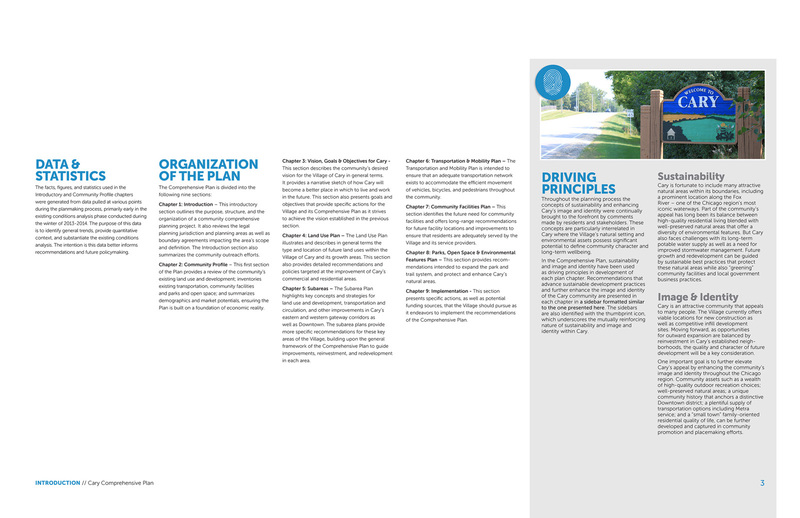 The Plan identifies strategies for revitalizing Cary’s aging auto-oriented commercial corridor, providing new desirable residential development, and better defining Downtown Cary as a unique mixed use district. 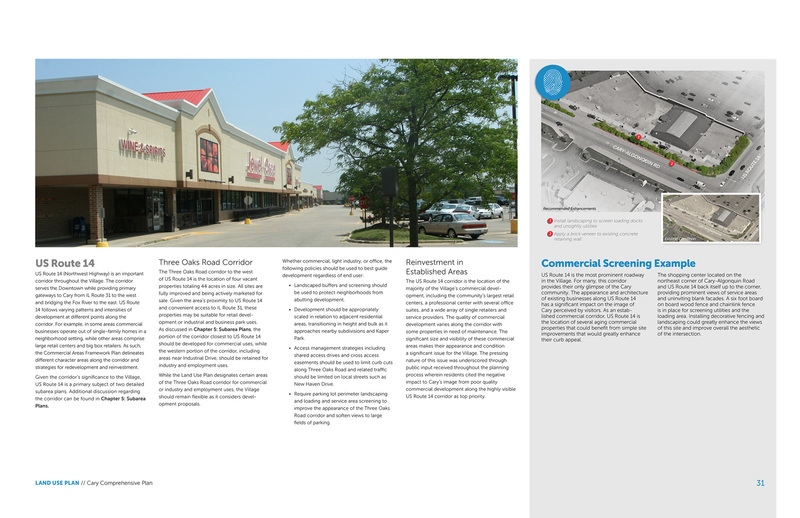 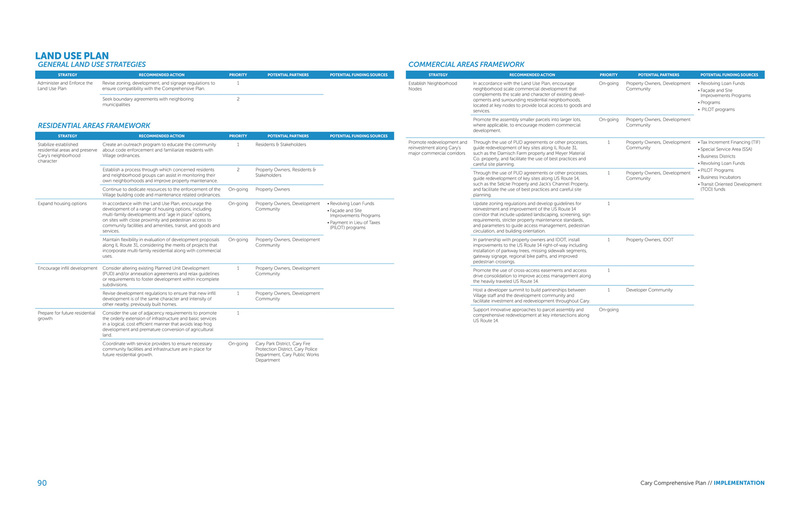 Reinvestment strategies are also complemented by detailed concepts that showcase large opportunity sites the Village has invested in clearing and prepping for redevelopment. 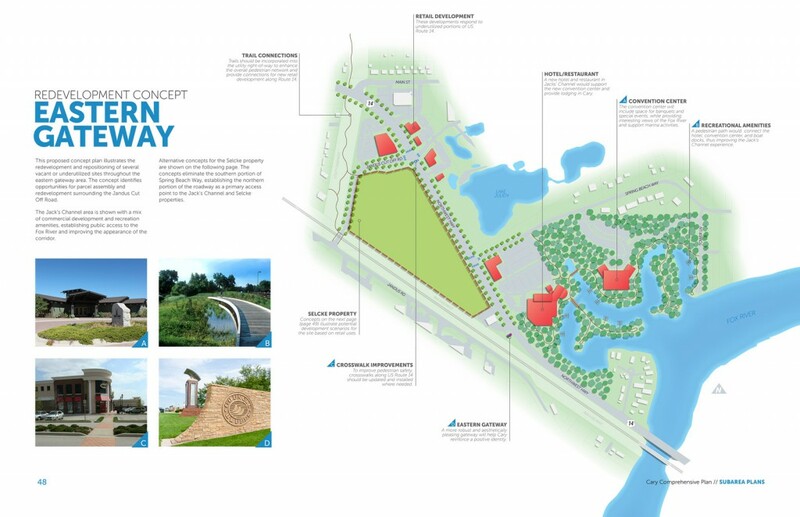 Cary’s setting along the Fox River is also highlighted in the Plan, outlining best practices that will enable the Village to attract new families and visitors to its unique recreation and natural area amenities.